WARNING: Due to the dramatic flat belly, fat loss & before/after transformation secrets revealed in the above video, weight loss discretion is advised!! Flash Sale 50% Off - Today Only $37! * Disclaimer: All of the transformation images presented are 100% real and were written by actual users of Olesya's LeanBellyFactor methods. By using this website you agree that these testimonials do not necessarily represent typical results of the LBF program. 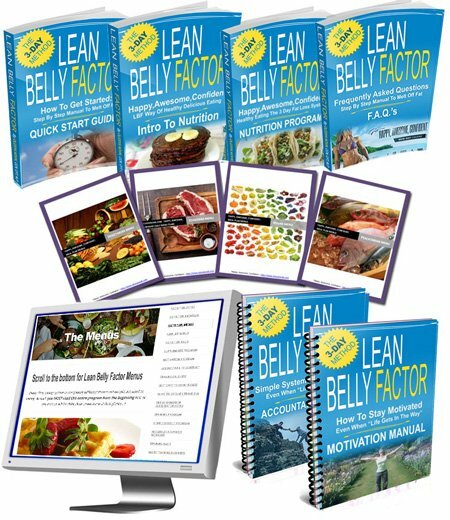 Results may vary between different users of the LeanBellyFactor due to variations in exercise history, injuries, genetics, age, medical issues and other factors. Any action you take based on information provided is your sole responsibility. Always consult with your licensed healthcare provider before making any changes to your diet or starting on any new exercise regimen. ​​ClickBank is the retailer of products on this site. CLICKBANK® is a registered trademark of Click Sales, Inc., a Delaware corporation located at ​1444 S. Entertainment Ave., Suite 410 Boise, ID 83709 , USA and used by permission. ClickBank's role as retailer does not constitute an endorsement, approval or review of these products or any claim, statement or opinion used in promotion of these products. ​IN A RUSH OR PREFER TO READ?